What is the GAMA Aviation Design Challenge? GAMA (General Aviation Manufacturers Association) hosts a challenge each year, called the ‘Aviation Design Challenge’ to promote Science, Technology, Engineering, and Math (STEM) education through aviation in high schools across the United States. Teachers guide students through the science of flight and airplane design, completing the curricula in approximately six weeks in the classroom or in four weeks through an accelerated program. Each high school applies what they have learned by modifying the design of an airplane. The schools then compete in a virtual fly-off, which is scored on aerodynamic and performance parameters while flying a specific mission profile. Judges from GAMA then select the winning school based on that score and other factors. 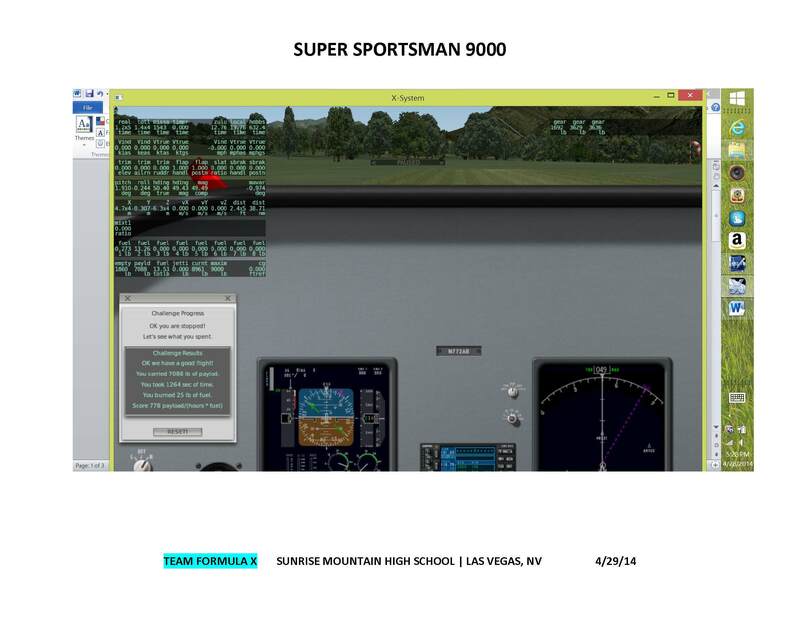 The first project of the Club was to enter the Sunrise Mountain High School participating students in a National STEM Competition, GAMA/Build A Plane 2014 Aviation Design Challenge. The team worked hard to achieve great results with the support of the Principal and the staff of Sunrise Mountain High School. The judges viewed and reviewed all the applications and the final resulted ended with Formula X as the winners of the 2014 Aviation Design Challenge. The team was sent to Glasair Aviation for a “Two Weeks to Taxi” program to build a Glasair Sportsman 2+2 airplane.